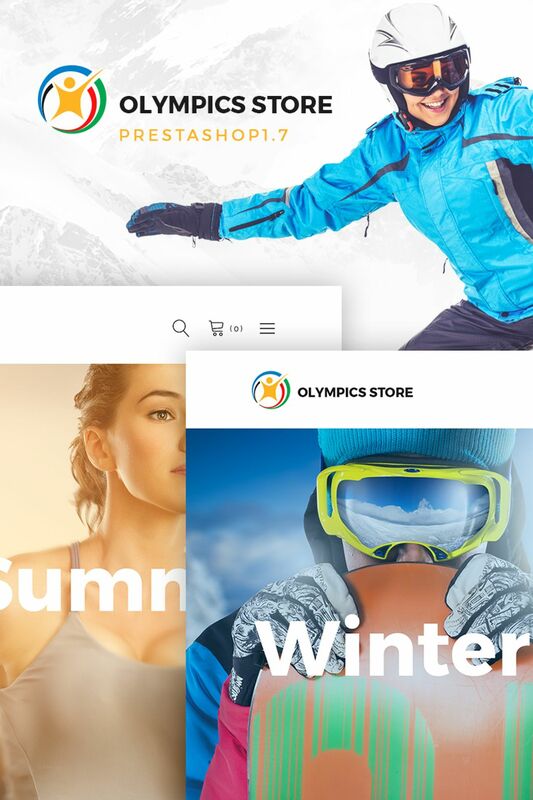 Pick Olympics Store – Professional Sports PrestaShop Theme to start a website for sports lovers and Olympic games fans! This is a Premium theme with unique set of features. It is created with Mega Layout Builder. 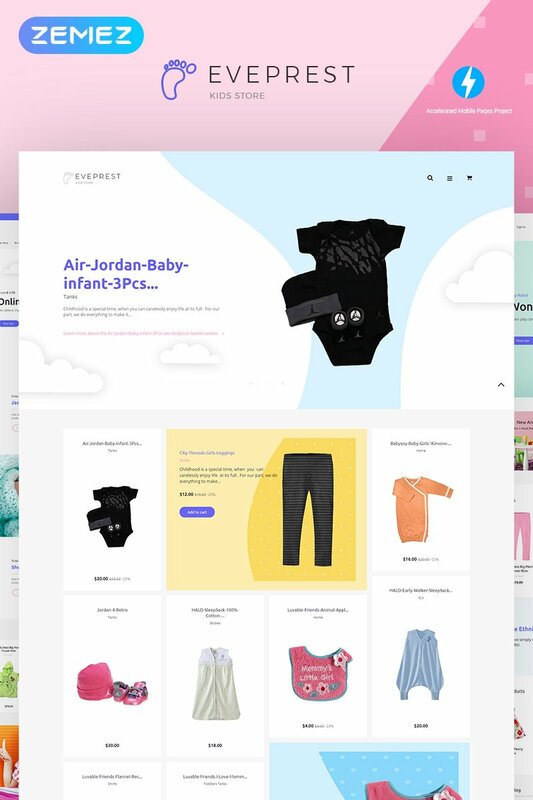 ShirtIX PrestaShop Theme is created to upgrade the quality of your site and land more customers for your clothing business. The theme has the bright and outstanding design that grabs your attention for sure. Hit the Live Demo! Appario PrestaShop Theme is created for online stores that sell the trendy clothing items. The clean design of the theme will help to focus your customers’ attention on your products. It also has a unique set of features for better shop customization. It is Extremely Fast theme! Compound menu that you can create with the help of Mega Menu Module allows wisitors to access different categories in no time. Add Videos, Banners, Sliders and other layout elements to the homepage effortlessly with the help of TM Mosaic Products Module. T-Store PrestaShop Theme is a perfect solution for you. It includes a lot of incredible functions, which make this theme the number one for any online seller. Look no further than this perfect theme and try it right now! Eveprest – Lingerie PrestaShop Theme is the most irresistibly appealing theme which fits perfectly for underware and lingerie online stores. TM Products Slider gives a great opportunity to showcase your news and promos in a remarkable way. Moreover, you can increase your sales rate applying various discounts to your products by means of the exclusive TM Deal of the Day module. This responsive Sports Store PrestaShop Theme is a flexible solution for online merchants thanks to its handy customization options. Color switcher allows choosing a desirable hue for a top navigation bar, call to action buttons, and some typography from pink, blue, orange, green and black. New arrivals are marked with blue labels, whereas items on sale are highlighted with red stickers. By means of a customizable slider, you can give a closer look at some of your products, choose an image transition effect and regulate its speed..
You need an extreme template for extreme sports clothing and gear store. This theme is exactly what you want. It attracts the customers with spectacular images, incredible banners and breathtaking stories. Apart from main menu, product section has tabbed navigation, so you can feature many item photos on the home page. ‘Sale’ tags inform the buyers about store discounts. Please note the built in Google map at the bottom of the page. With its help your clients will easily find street stores location. Several layout colors are available for your choice. We hope you are as impressed with this design as we are and ready to make your pick. Realize your eCommerce initiatives with this full-featured PrestaShop theme. Its navigation is based on 2 types of menu, namely mega menu for product categories and burger menu for login, currency and language options. Products are shown in a clean block, where buyers can filter them by popular, new, special and best-selling categories. By means of a color and font switcher, you can change the palette and typography of your site at the frontend, only with a few clicks. In total, this hockey shop PrestaShop theme looks minimal and stylish due to abundant white space and polygons.